Welcome to Acme DIY.com’s informative and helpful section dedicated to insulation. You know, insulation is more than what you put inside your walls and attic. How well your home maintains its internal temperature is also closely related to your windows and doors-- their age, composition, and method of installation. 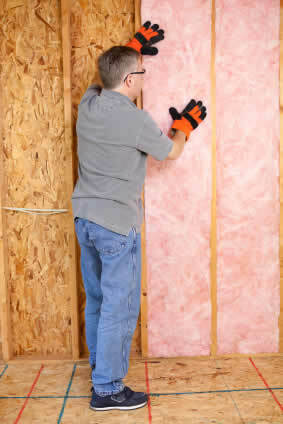 If you need a crash course on insulation basics such as R-Value and the differences between loose-fill, spray foam, foam paneling, and fiberglass insulation, you’ve landed on the right page. Acme DIY.com will ably aid you in planning your home improvement project, providing you with options, and, if you prefer, helping you locate a professional contractor. Do you know what to do if you’re renovating and you reveal old asbestos insulation? Can you actually use too much insulation? What should you do if you find mold and mildew in your walls or attic? We can help you with these and any other questions you may have concerning this important subject. If you don’t find your question addressed in the directory to your left or you need more specific information after reading our articles, please contact us by utilizing our convenient online forum.